I’m not too sure when I first realised that I was different. It was probably sometime whilst I was at secondary school, discovering the joys of puberty and being exposed to the entire gender and sexuality spectrum for the very first time. Early experimentations with my gender saw numerous occassions of ‘cross-dressing’ for charity, whilst at school and University. Little did I, or my best friends, know what would happen in later years, and I wouldn’t be where I am now without the incredible support of these two lovely ladies. Don’t get me wrong — being different is not a bad thing, and it’s certainly not an idea to avoid. In my opinion, it’s the exact opposite. Being different makes you unique. It keeps things fresh and it gives you that drive to do whatever you want to do, meet whomever want to meet and, ultimately, be who exactly you want to be. And that’s how I’ve come to identify as gender fluid. At this point, it is also necessary for me to clarify that my birth gender is male, and I identify sexually as ‘attracted to women’, i.e. heterosexual when I am predominantly male gendered, and homosexual when I am predominantly female gendered. For the purposes of this blog, as you may have guessed, it will generally be my female persona writing, and I’ll be keeping much of my male life completely anonymous — for now, at least. It’s been a long, drawn out process of discovery, experimentation and — on many occasions — embarrassment, but coming to terms with my gender identity has been the single-most liberating experience of my life so far and this blog is (hopefully!) going to document my journey. I can quite vividly remember the first time I tried on a dress. It was a big deal, but one that had taken much courage and building up to over several months. I’d become fascinated by the multitude of outfit options available to girls and the thought of wearing a skirt, heels, or make-up — literally, anything at all — truly fascinated me. Very few school friends knew about my inner feelings and “urges” as a child, and I wasn’t sure of them myself. But, now, they’re able to look back and spot all of the hints and clues, as well as enjoy many new memories that are regularly being made. The opportunity arose one evening after school, during my early teenage years. I had been the stage manager for a school production and as a result I had access to the entire costume store. I could have anything I wanted for as long as I wanted and no-one would be any the wiser. I picked out the girliest, most feminine dress I could find, smuggled it into my kit bag and headed home. Then, in the middle of the night, I got undressed, slipped it on and sneaked around the house, astounded by the entire experience. The close-fitting bodice, the skirt flowing around my legs (and the sensation of nothing constricting them!) and the overall snugness of the fit ensured that the adrenaline was pumping. And it continued pumping: the moment I zipped up the back (I’ll be honest, it wasn’t the most elegant of jobs) was the assurance I needed that this was ‘right’. I was hooked and my cross-dressing adventure (as I thought it was at the time) had officially begun. Over the course of the next few months and years, I started to dress-up more and more, amassing a small collection of clothes begged, borrowed and — I’m sad to admit — stolen from a number of sources around the school. My excuses and reasoning got ever-more elaborate, and I became far more daring in my acquisitions. But, ultimately, I still thought that this might be a phase and I didn’t want it to be made public. 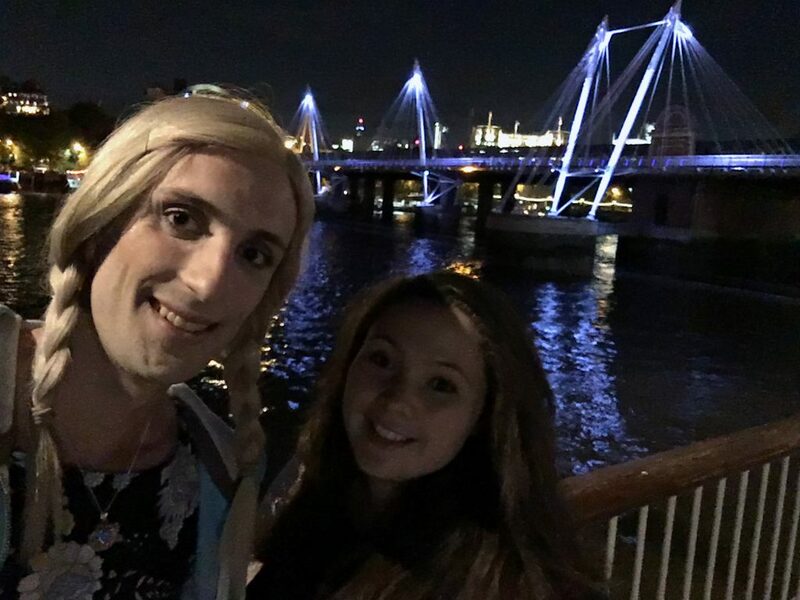 As exciting as the idea of dressing up in public was, it scared me, and I couldn’t face the social stigma that I thought would be attached to a cross-dresser. It’s worth noting that there is absolutely nothing wrong with cross-dressing, and it is very sad that there 100% is a stigma attached to it in modern society. The notion that men should wear blue trousers and women should wear pink dresses is incredibly outdated, simplistic and fabricated. 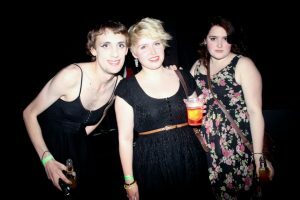 Historically, there has been so much variation in ‘dress’ over the years that it’s hard to truly label anything as gender-specific, but that’s a topic for another post on another day. My point is that you, as an individual, completely have the choice to wear whatever you feel comfortable in, whether it’s from the mens’ section or the womens’. This is true for all genders, and once you get to grips with this — and are confident in doing so — everything gets so much easier. Anyone who doesn’t agree with this is, frankly, wrong, but do try to educate people rather than just casting them aside. Acceptance is key and if someone is a close friend they at least deserve the chance to adapt to the changes. Charley very much grew up as I did, albeit in a much more hidden way. My fashion sense ranged from the cool, to uncool, to the downright ridiculous. I also acquired a complete girls’ school uniform for my school, secretly longing to be one of the girls with their teenage glamour. My dream ended up becoming reality for one day only, too. One of the biggest challenges of my journey has been learning lots of new skills to complement my feminine look. 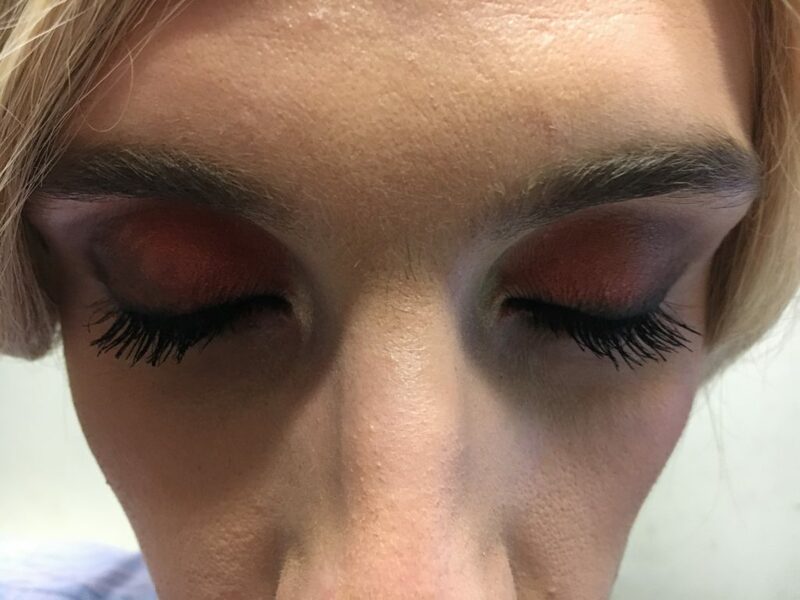 The starting point was a complete make-up tutorial, furnishing me with the basic skills and proving just how much make-up can transform anyone’s face. It also made me fully appreciate different parts of my body for the first time, in particular my eyes and how mesmerising they could be made! Every year, my school would hold a charity people auction, with sixth formers and teachers sold off to younger pupils for a couple of days. The kids had a wicked imagination, with all sorts of tasks and costumes being thought up for the willing victims. A few not-so-subtle hints later, and they’d realised my dream for me — I was to be a school girl, complete with heels, clear tights and a short skirt — not to mention a full face of make-up. And you know what? It was wonderful. These events planted the seeds in my head that it might be possible to cross-dress in public on a semi-regular basis by using a ‘charity’ cover. I planned a number of ideas but very few came to fruition, until my days at University when a ‘fancy dress week’ proved the ideal opportunity. Every day, without fail, I donned a skirt, make-up and heels — and everything else — and roamed the campus and local area. The charitable cause was for real, of course, and I raised around £2,000 over the course of the week. Sadly, though, it’s not always been plain sailing. Every now and then, people would twig that something was different, and my protestations about not dressing as a girl would be a little bit too convincing, if you get me. It’s always been resolved in the end, but it’s really not a nice feeling to have people you know try and make your life miserable for something that you may or may not do. But it’s even worse when it’s your family. I’ll be frank. I’ve always had a chequered relationship with my parents, so it perhaps shouldn’t be too much of a surprise that it’s not at the top of my priorities to tell them. They’re pretty liberal people, but every now and then they would find my stash of hoarded garments, taking them away without so much as a conversation, never to be seen again. That hurts. You can take the name-calling from people you know, but your own family?! I wouldn’t wish that on anyone. One year on, and I’ve never felt better about myself. The support from my friends — both new and old — has absolutely blown me away. Some from school, some from University. Some from work — and some whom I’ve only come to know since ‘discovering’ Charley. I couldn’t have done any of this without them. But, thankfully, I have met some truly amazing people who have been so supportive with everything to do with my gender identity. 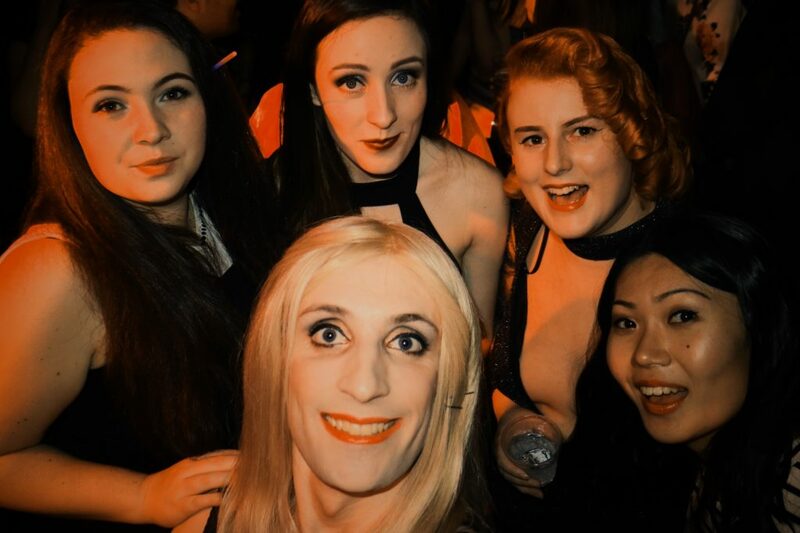 Throughout University, I started to become more and more open about my ‘cross-dressing’, and with their help learnt that it is entirely normal and okay to not ‘be normal’ — but that also, in my case, it was more than just putting on the occasional dress. I had distinct moods. Distinct feelings. Distinct ideas. Effectively, I had two different personas — one male, one female. I was gender fluid. Twelve months on and everything is so much more positive since I made this revelation. I’m going out in public, on my own, with no cover story. My closest and longest friends all know about ‘us’. 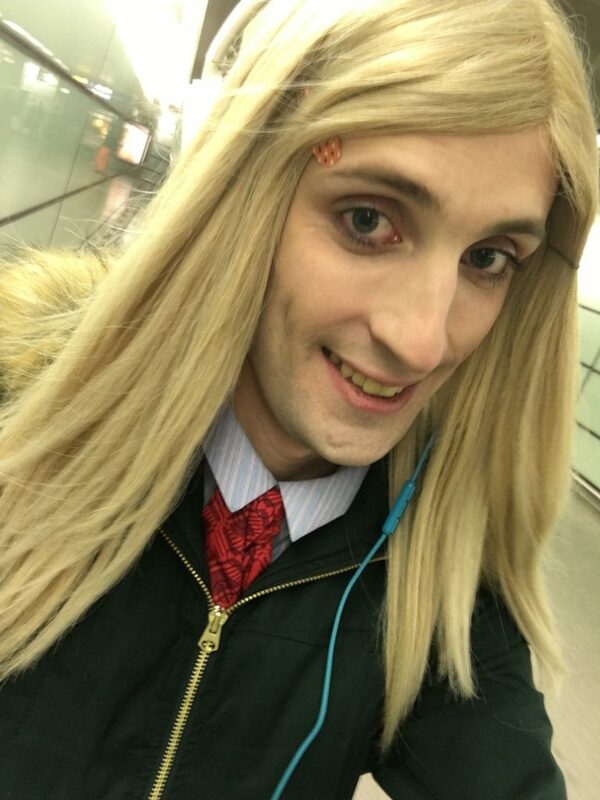 At work, either of my genders can come or go as we please, with the full support of the most amazing colleagues and employer. I’m becoming so much more open about everything — and I’ve never felt better. 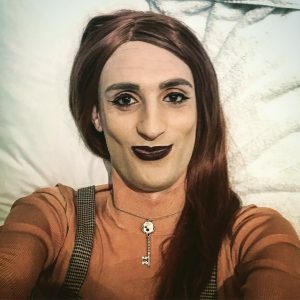 The aim of this blog is to document my experiments and experiences of gender-fluidity, in the hope that they may help someone else have an easier ride in the future. I have no idea where it will go, but I’ve got some ideas, and I’d love to hear from any readers, too. For now I’ll be keeping my male self completely anonymous and separate — but who knows if that will be the case forever? I certainly hope not. Keep on smiling, live life to the full and be happy in yourself.